Tag line: "Six soldiers. Full moon. 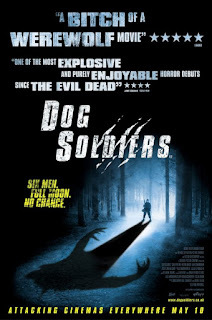 No chance"
Years before he discovered underground creatures in The Descent and brought on the apocalypse in Doomsday, writer / director Neil Marshall sent a crack military unit up against some pretty nasty werewolves in 2002’s Dog Soldiers. Packed with wild action sequences and a few scenes of over-the-top gore, Dog Soldiers is a thrill-a-minute monster film, and one hell of a directorial debut. A team of British soldiers travels deep into the Scottish Highlands to take part in what they believe will be a military exercise. But after discovering the bloody remains of a Special Forces unit the next morning, the squad, led by Sgt. Harry Wells (Sean Pertwee) and his second-in-command Pvt. Cooper (Kevin McKidd), realizes they’re suddenly facing an enemy that’s all too real. After rescuing Capt. Ryan (Liam Cunningham), the Special Forces commander and the only one to survive the attack, Wells and his men take off running, one step ahead of what appears to be a pack of enormous wolves. Following a brief melee, during which one soldier is killed and Sgt. Wells is injured, the remaining troops make their way to the main road, where they’re picked up by a passing land rover driven by Megan (Emma Cleasby), a zoologist, who takes them to a secluded cottage. According to Megan, the wolves that the unit encountered aren’t animals at all; they’re werewolves. Worse than that, they’re hungry werewolves, and when these lycanthropic enemies surround the cottage later that evening, the result is a night of chaos that those lucky enough to survive won’t soon forget. 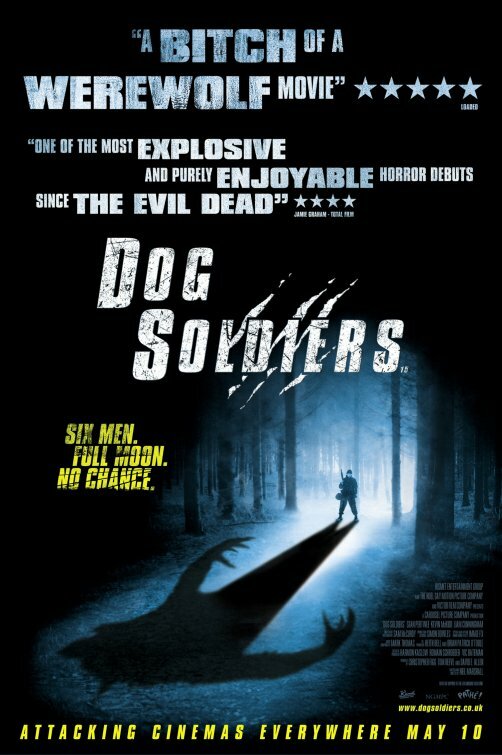 Unlike most independent monster films, which tend to conceal their creatures until the very end, Dog Soldiers gives us a good look at its werewolves early on, and continues to do so throughout the movie. The reason for this is obvious: the werewolves, brought to life by special make-up effects supervisor Dave Bonneywell and his crew, look damn good, and the more we see them, the creepier they become (each is a few feet taller than their human adversaries, and their appetite for human flesh is never satiated). This leads to several violent encounters between the lycanthropes (which, like most hungry predators, attack frequently) and the soldiers (who transform the tiny cottage into an impressive stronghold), with each new assault more bloody than the last. This, combined with a superb cast (especially Sean Pertwee as Sgt. Wells, who, during their first night in the wilderness, tells his men an unforgettable story) and a handful of gory scenes, helped make Dog Soldiers the first truly great werewolf film of the new millennium.